With no apology offered, I will be venturing into a very subjective realm, namely, a characterization of today’s healthcare dialogue and what, in my opinion, might be an improvement. I would suggest we have fallen into the trap that was partly enhanced by email and blogs, namely, that we can say outrageous things impolitely and without consequence. With email we tend to be much blunter and impolite than we would be face to face. On blogs, we can be positively toxic. It’s like driving in a car with a tinted windshield that no one can see through. You are anonymous and therefore can act less responsibly. Another vignette. I grew up in a very small upstate New York town where everyone knew everyone else. You used your car horn to beep “hi” or to warn, and not in anger, ever. When you waved at someone, it was with all five fingers. And so on. I think you get my point. The healthcare debate always has stoked emotions like almost no other. It is intensely personal, and the stakes are high. We’re all involved and engaged. As I’ve written in the past, I first earned my stripes as a lawyer representing my local Blue Cross plan in rate hearings. These rate hearings always started with “public comment.” The comment ranged from pure outrage to controlled anger to discontent coupled with suggestions. What did we pay the most attention to? Of course, the latter. In a recent New York Times opinion piece, Obama advisor Ezekiel Emanuel attempts to ease the minds of millions of Americans who may be selecting narrow network plans in the exchanges. In defending narrow networks, Emanuel cites the well-known example of Kaiser, which has for decades required enrollees to choose among only Kaiser-owned hospitals and Kaiser-employed physicians. He goes on to propose some “safeguards” for plans in the exchanges such as mandating that insurers disclose the criteria used to establish their network of providers and requiring that insurers pay for second opinions from elite out-of-network providers. Perhaps surprisingly given our previous commentary, we agree with the general thrust of Emanuel’s argument, which is that freedom of choice is overrated. And while we do not agree with many of his recommended safeguards, our quarrel today is not with his proposals for even more new rules and regulations. Rather, our primary quarrel is with the vast majority of the individuals who chose to comment on, and often lash out at, Emanuel’s article. These comments are emblematic of the general misunderstanding of the role of narrow network plans in controlling the future growth of health care expenditures. Given previous comments on this site, we suspect that many readers of our blog might share similar sentiments. So we would like to take our readers on a stroll down memory lane to explain how insurers ended up creating networks, and why we are all better off for it. Late last Friday after the financial markets closed, the Centers for Medicare and Medicaid Services (CMS) issued its annual notice of 2015 payments to private insurers who sell Medicare Advantage plans to seniors. Its determination that a 3.55% cut is in order was spelled out in a complicated 148-page explanation of its methodology. The net impact of changes to “coding intensity” adjusted for geographic variation essentially means insurance companies would see a 1.9% cut in their payments per Avalere’s calculations. But there’s more to the story than the Medicare Advantage payment adjustment. The difference between last year’s Round One rate negotiation and this year’s Round Two is significant. Medicare Advantage (MA) plans enroll 28% of seniors. It is popular: enrollment increased from 5.3 million in 20104 to 16 million today—a 9% increase last year alone. MA plans are required to offer a benefit “package” at least equal to Medicare’s covering everything Medicare allows, but not necessarily in the same way. 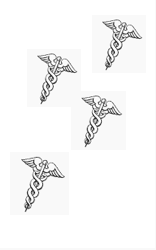 Are Payors Changing What They Pay For Medical Billing Codes To Adjust For Supply and Demand? Hey there, maybe THCB readers can weigh in on this one. I work at a healthcare startup. Somebody I know who works in medical billing told me that several big name insurers they know of are using analytics to adjust reimbursement rates for medical billing codes on an almost daily and even hourly basis (a bit like the travel sites and airlines do to adjust for supply and demand) and encourage/discourage certain codes. If that’s true, its certainly fascinating and pretty predictable, I guess. I’m not sure how I feel about this. It sounds draconian. On the other hand, it also sounds cool. Everybody else is doing the same sort of stuff with analytics: why not insurers? Information on this practice would obviously be useful for providers submitting claims, who might theoretically be able to game the system by timing when and how they submit. Is there any data out there on this? Is this b.s. or not? Lost in the health care maze? Having trouble with your health Insurance? Confused about your treatment options? Email your questions to THCB’s editors. We’ll run the good ones as posts. Last week I went to a panel presentation sponsored by the group NYC Health Business Leaders on the rollout of New York State’s health insurance exchange. Among the speakers was Mario Schlosser, the co-founder and co-CEO of the venture-capital-backed start-up health insurance company Oscar Health, which offers a full range of plans through New York’s exchange. As NPR reported last month in a story about Oscar, “it’s been years since a new, for-profit health insurance company launched in the U.S.”, but the Affordable Care Act created a window of opportunity for new entrants. Schlosser began his talk by giving us a tour of his personal account on Oscar’s website, www.hioscar.com. Among other things, he showed us the Facebook-like timeline, updated in real time, which tracks his two young children’s many visits to the pediatrician. He typed “my tummy hurts” into the site’s search engine and the site provided information on what might be wrong and on where he might turn for help, ranging from a pharmacist to a gastroenterologist, with cost estimates for each option. Additional searches yielded information on covered podiatrists accepting new patients with offices near his apartment and on the out-of-pocket cost of a prescription for diazepam (which was zero, since there is no co-payment for generic drugs for Oscar enrollees). As an audience member noted, none of this is new exactly. What is new is to have this kind of data-driven, state-of-the-art user experience being offered by a health insurer. Schlosser told the audience that Oscar’s pharmacy benefit manager and other vendors are providing the company with real-time data that other insurers have not demanded. So many old rules in health care and insurance no longer seem to apply. I keep stumbling upon situations, where, what used to be up is now down and what used to be down is now up. No one seems to know for sure how things will settle out under the new reality created by Obamacare and the even more unpredictable reactions to the law by health care companies, employers and, most especially, you and me. I’ve started using the term “weightlessness” to describe this state we’re in. Picture the astronauts on the international space station, floating through a room, flipping at will, as likely to settle on a wall or on the ceiling as on the floor. That’s what life is like under Obamacare now—for physicians, hospital administrators, insurance executives, benefits brokers and employers. 1. I wrote last week about how a chunk of workers, even at large employers with generous benefits, would actually get a better deal on health insurance from the Obamacare exchanges than from their employers. So their employers are starting to consider whether they should deliberately make health benefits unaffordable for those low-wage workers, so they can qualify for Obamacare’s tax-subsidized insurance. That could be good for both employers and employees. The effect on taxpayers, which would switch from granting a tax credit to employers to instead granting it to the employees, is unclear. 2. Even though insurers were certain that price would be king on the Obamacare exchanges, that hasn’t led most customers to buy the plans with the cheapest premiums. As I wrote Friday, 76 percent of those shopping on the exchanges in my home state of Indiana have picked the higher-premium silver and gold plans, with only 24 percent picking bronze plans. “There are a few geographies where we believe we are gaining share despite lower price competition which points to the value of our local market depth, knowledge, brand, reputation and networks,” WellPoint Inc. CEO Joe Swedish said during an January conference call with investors. It’s possible that’s a result of older and sicker patients being the earliest buyers on the exchange, and that as healthier people buy coverage, they’ll gravitate to the low-cost bronze plans. But that hasn’t happened—which, as I wrote on Friday, has proved wrong hospitals’ concerns about the super-high deductible bronze plans. What Exactly Are Insurers Canceling? And Why? There is one aspect of the ACA that isn’t being discussed a lot, but is pertinent to the future landscape of health care in this country — the extent to which the ACA is causing a sort of reset, or wiping of the slate, when it comes to insurance policies and procedures. Previously, there were multiple insurers and multiple policies, many of which had been around for a long time. If an insurer wanted to suddenly change providers in its network, ratchet down provider reimbursement, alter covered procedures or make other adjustments, this was feasible, but too much of a change would entail an outcry limiting insurers’ freedom of action. The overall system had a certain air of stability or inertia, making any changes stand out, any big changes cause for scrutiny and possibly rebellion. Now, with the ACA, everything is being tossed up in the air and when things land, much can and will be different. Some changes are mandated by the ACA, such as minimum coverage, and insurers are cancelling inadequate policies, substituting very different ones. But even when a policy doesn’t need to be changed, insurers will justify change by pointing to the ACA. We are at the beginning of a totally new insurance landscape, even if most of the insurers remain the same. The public has been primed to expect major change and insurance companies will certainly make use of this expectation. The result is likely to be more restrictive networks, decreased reimbursements to providers and other measures to limit cost. Everything is now up for grabs. If you have questions about the Affordable Care Act or your buying insurance on the federal state exchanges, drop us a a note. We’ll publish the good submissions. The Berenson study’s key conclusion is that growing hospital clout has resulted in insurers not aggressively containing their claims payments, a view that will stun every patient who has had a health insurance company deny coverage for a procedure, prescription or preferred health care provider. Because the Berenson study’s finding are counterintuitive to consumer experience, and because they have been widely discussed in publications ranging from Forbes to National Journal, the Center for Regulatory Effectiveness, a regulatory watchdog with extensive experience in analyzing federal health policies, undertook an analysis to see if the study complied with the Data Quality Act (DQA). The DQA, administered by the White House Office of Management and Budget (OMB), sets standards for virtually all data disseminated by the agencies. Under the DQA, agencies may not use or rely on data in federal work products (reports, regulations) which don’t comply OMB’s government-wide Data Quality standards. Thus, unless the Health Affairs study complies with federal Data Quality standards, it is useless to Executive Branch policy officials. The primary data source cited by the Berenson study as the basis for their conclusions regarding trends in relative clout between hospitals and health insurers is a well-respected, longitudinal tracking study which included interviews with heath care leaders from insurance companies, hospitals, and academia. The health care interviews, however, were only conducted in a single year following a change in longitudinal study’s methodology.